Throughout its 100-year history, winemaking techniques have evolved because Bodegas Riojanas combine the local winemaking tradition with the state-of-the-art winemaking techniques. Innovation goes hand in hand with respect for tradition. Therefore they have incorporated the most advanced winemaking techniques that allow for adaptation to current market trends. 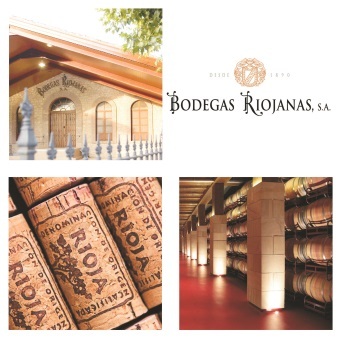 Bodegas Riojanas controls more than 300 hectares, from the best vineyards in Cenicero, San Vicente de la Sonsierra and nearby towns. The quintessential grape in Rioja is Tempranillo, but Bodegas Riojanas also has one of the largest areas dedicated to Mazuelo and Graciano within the denomination, varieties that provide greater personality to some of their wines. All the tasks developed from the grape sprouting in the vineyard until the wine arrives at your table are developed and run by Bodegas Riojanas staff, always having as objective the highest quality.